Budding Calif. Cheese Industry Gets Grilled By FDA Northern California is becoming a new cheese industry hub — particularly for specialty cheeses. But recalls of cheese made with unpasteurized milk have put an unwelcome spotlight on the industry. Now officials are taking a closer look at the regulations for these so-called raw milk cheeses. Watch out Wisconsin: Northern California has become a hub — some say the hub — for cheese making, especially farm-based specialty cheeses. But high-profile recalls of cheese made with unpasteurized milk have put an unwelcome spotlight on the industry. Now officials say they may tighten the rules on raw milk cheese — perhaps banning it altogether. 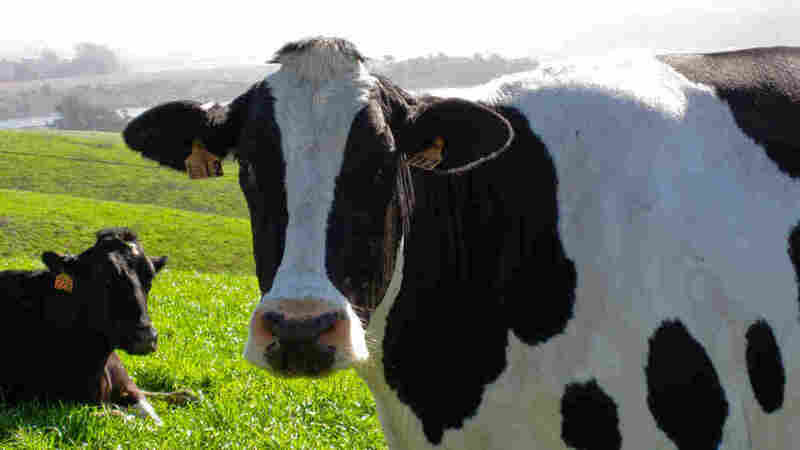 Here in Point Reyes, 40 miles north of San Francisco, the Giacomini family has been raising dairy cows since 1959. Jill Giacomini Basch grew up here. The round cheese molds contain Point Reyes Farmstead Cheese's specialty Original Blue, which is made from raw milk. "The milk here is really reflective of the climate, the grasses, the moderate temperature," she says. Today, Giacomini Basch and her sisters run the Point Reyes Farmstead Cheese Company, best known for its $20-per-pound Original Blue. Every step of the process takes place here on the farm. At no point is the milk for the blue cheese pasteurized. That means it's not superheated to kill bacteria. Farmstead's head cheese maker Kuba Hemmerling says this is key to the cheese's flavor. "In a good way, I would call it 'farmy.' You know what I mean? You taste more of, you know, where the cows were, and what was happening," Hemmerling says. Selling "raw," or unpasteurized, milk is illegal in most states. But, under federal law, raw-milk cheese is OK — as long as it's aged at least 60 days to kill harmful bacteria like E. coli, which can make its way from an animal's manure into milk. In recent months, two recalls involving E. coli in cheese have made headlines: First, in November, at Bravo Farms in California; then in December, at Sally Jackson Cheese in Washington state. What's Healthier: Raw Milk Or Regulation? 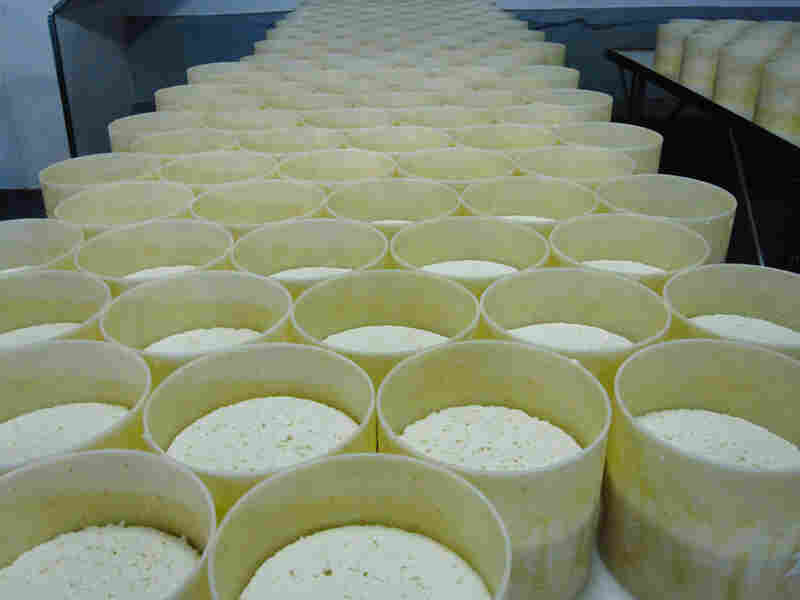 Because both cases involved raw milk cheese, the Food and Drug Administration has stepped up inspections on cheese facilities across the country. "When problems begin to emerge with a certain kind of food in a certain type of market, there's greater focus from the state, local and federal regulators. They find the problems that were probably lurking all along," says David Acheson, a former FDA associate commissioner. Acheson says, for example, the FDA has long suspected that E. coli contamination can happen even when companies do follow the 60-day rule. He says scientific tests backs this up. "E. coli was put into cheese and aged under lab conditions," he says. "And there was certainly evidence that to some extent it could survive the aging process." FDA officials haven't said when the new rules would come out, or what they'd look like. But Acheson says a key question will be whether any aging period is long enough to kill harmful bacteria. And if not? "Then, obviously, the next step is making pasteurization an absolute requirement," Acheson says. On average, about 40 people report getting sick from raw milk cheese a year nationwide, according to the Centers for Disease Control and Prevention. "You know, when I look at the track record of cheese and the safety, it's pretty remarkable when you think of the number of people eating cheese every single day," says Christine Hyatt, president of the American Cheese Society. And many of those cheeses — far more than most people would realize, she says — are made with unpasteurized milk. Jill Giacomini Basch visits some of her farm's Holstein calves. "Like Parmigiano-Reggiano, gruyere, Roquefort — they are all made with raw milk and have been for thousands of years," she says. Still, Hyatt says if the science supports a longer ageing period, most of the cheese-makers her group represents would get behind that. Most raw-milk cheese sold in the U.S. is aged for longer than 60 days, anyway. But she thinks the agency should be careful not to discourage an industry that's only just taking shape. "It would be a real shame to have a very small number of incidents lead to the demise of this fascinating, fledgling industry," she says. Especially, Hyatt says, because contamination can happen at any stage of the cheese-making process, regardless of whether you use raw milk or pasteurized milk. Still, she says for cheese makers across the country, the recent E. coli outbreaks have been a wakeup call. Back at Point Reyes Farmstead, sanitary precautions are a way of life. A recall, says Giacomini-Basch could jeopardize her family's business.